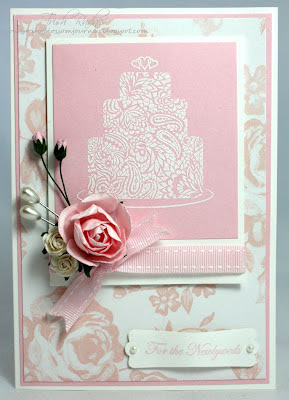 There is a new challenge blog called 'Addicted to Stamps' and my BFF is a guest designer there!!! 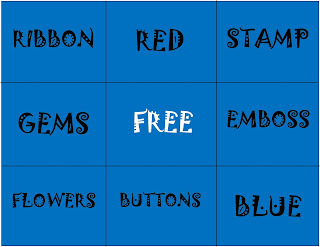 This weeks challenge is a 'Bingo Card' - basically you choose a line on the card and then you have to use the 3 items specified on the line. I've made this card for a couple of friends who recenly got married overseas and then had a very long honeymoon traveling around to so many places. (Insert jealous face here!!) I can't wait to catch up with them, see all the pictures and hear all the great stories. Do go and check out the new challenge blog and pop in an entry! It was a glorious day here in Brisbane such a change from the miserable weather we had last week!! I hope you have all had a fabulous weekend. Hi Trish. Gorgeous card. 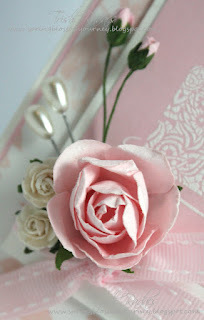 So very pretty and delicate. 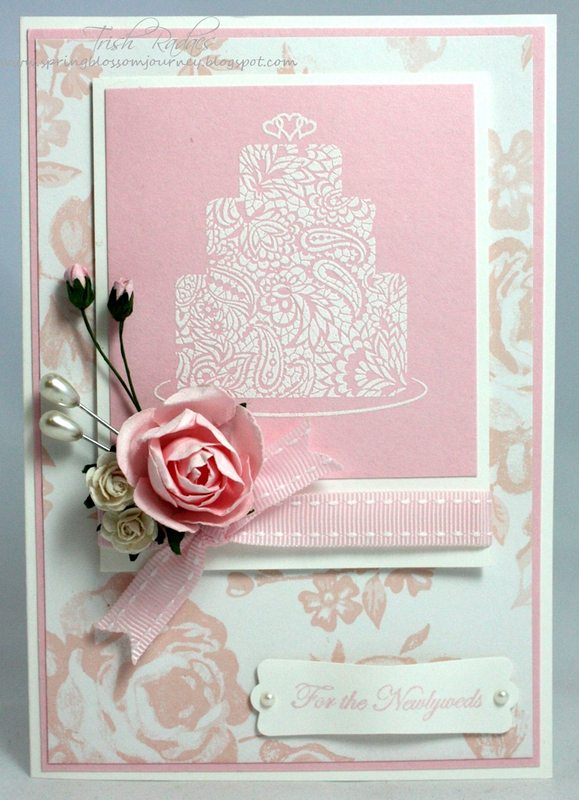 This is such a beautiful card, soft, feminine and beautifully crafted, I just adore the soft tones and lovely colours just perfect for our challenge at Addicted to Stamps, thank you so much for playing along with us this week and hope to see you again. Wow! Considering you're well and truly under the weather you've pulled together a gorgeous card Trishy. I love all the pink and that little grouping of flowers and pearl pins is so sweet. I'm so glad you found the time to play along with the second challenge. I know you really wanted to join the first...but life being busy as it is had other ideas. Such a lovely, soft and romantic card, Trish! Absolutely divine card Trish. Thanks so much for joining us at ATS this week.